This Urbanscape Style "A" Wide Slat Planter with Liner features a unique twist design that creates a modern, upscale appearance. Constructed from cast aluminum, this beautiful planter with not rust or corrode. Choose from (4) natural faux-wood finishes or one of (14) distinctive powder coat finishes to compliment your outdoor surroundings. Includes inner plastic liner. Shown with Faux-Wood Finish. Matching Trash Receptacles available. 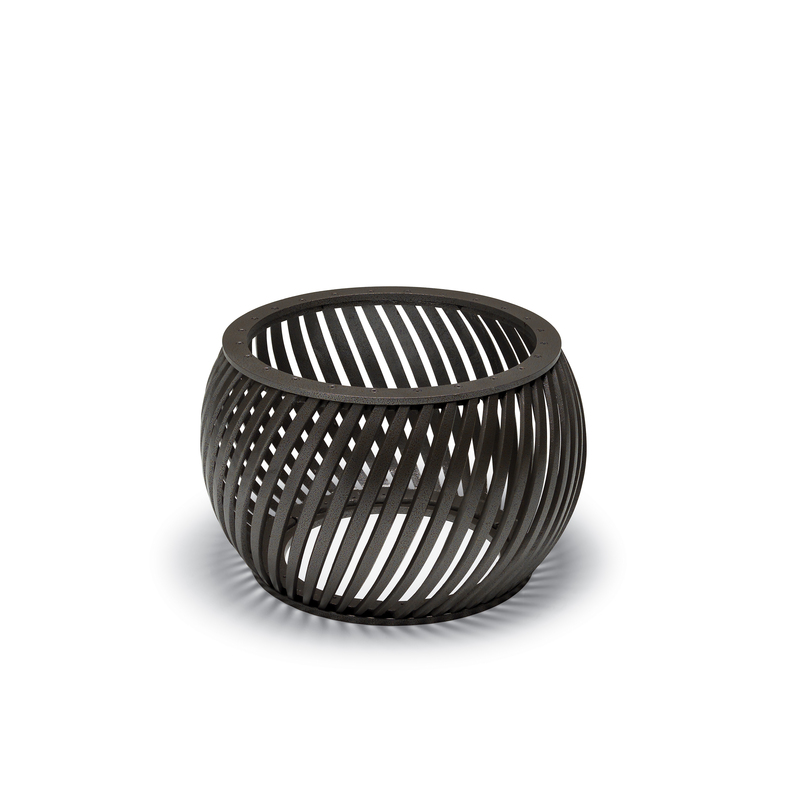 This UrbanScape Style "A" Spiral Slat Planter with Liner features a unique twist design that creates a modern, upscale appearance. Constructed from cast aluminum, this beautiful planter with not rust or corrode. Choose from one of (14) distinctive powder coat finishes to compliment your outdoor surroundings. Includes inner plastic liner. Matching Trash Receptacles available. 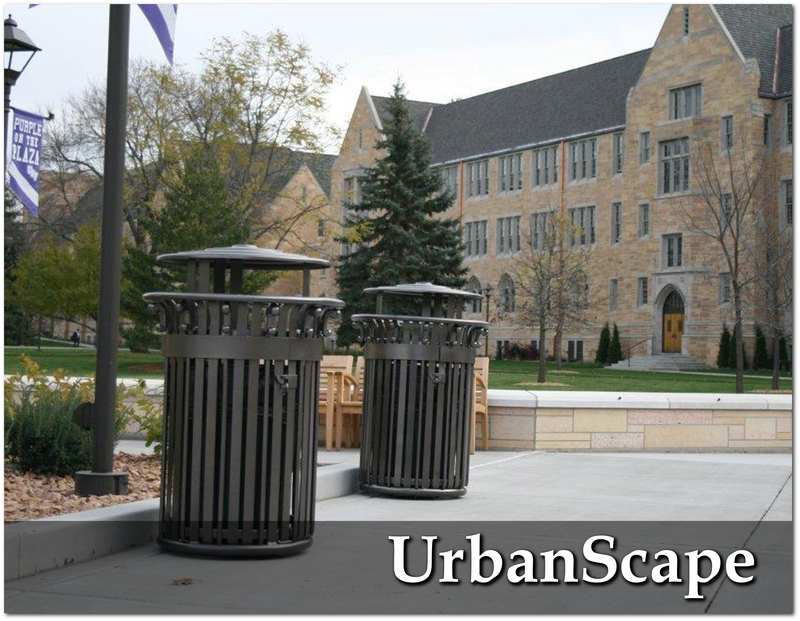 This UrbanScape Style "E" Square Perforated Steel Planter features an upscale modern appearance. 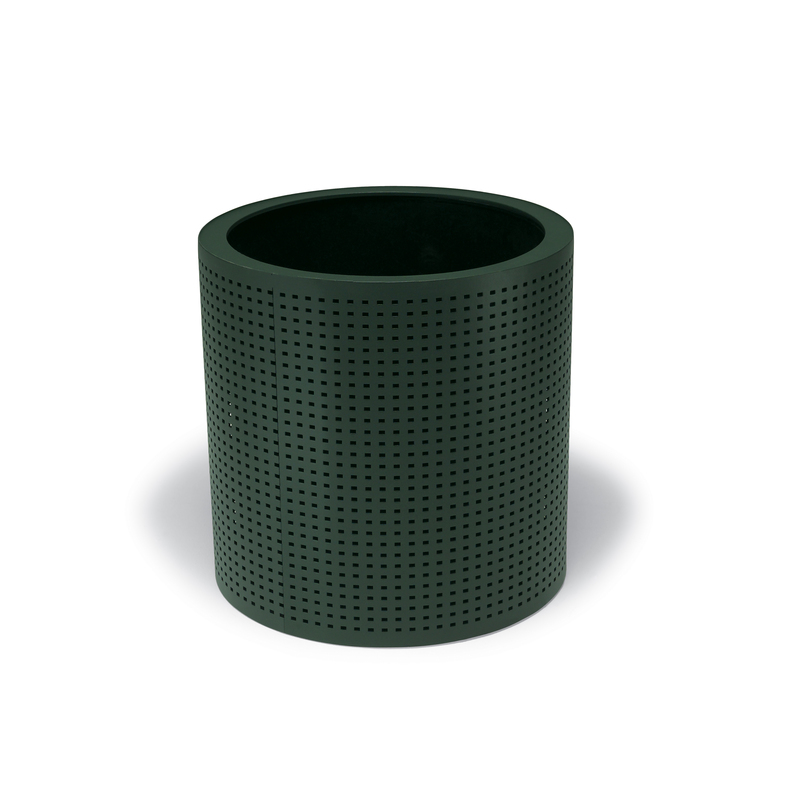 Constructed from heavy 12-gauge perforated steel, this attractive planter can withstand outdoor elements with ease. 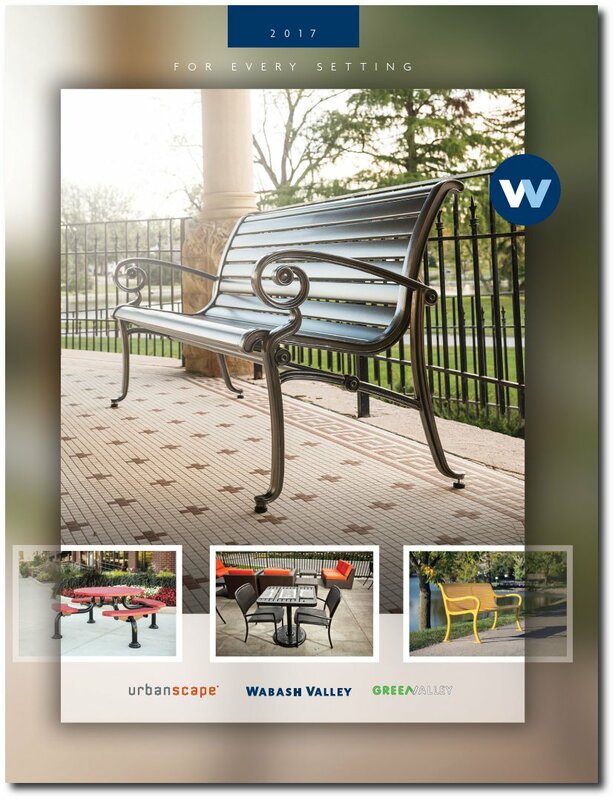 Choose from (14) distinctive powder coat finishes to compliment your outdoor surroundings. Includes inner plastic liner. 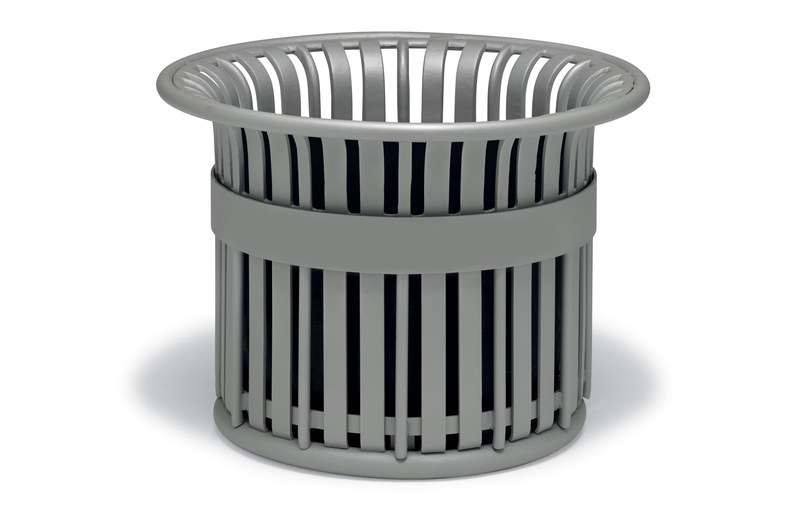 This UrbanScape Style "E" Steel Rod Planter features an upscale modern appearance. 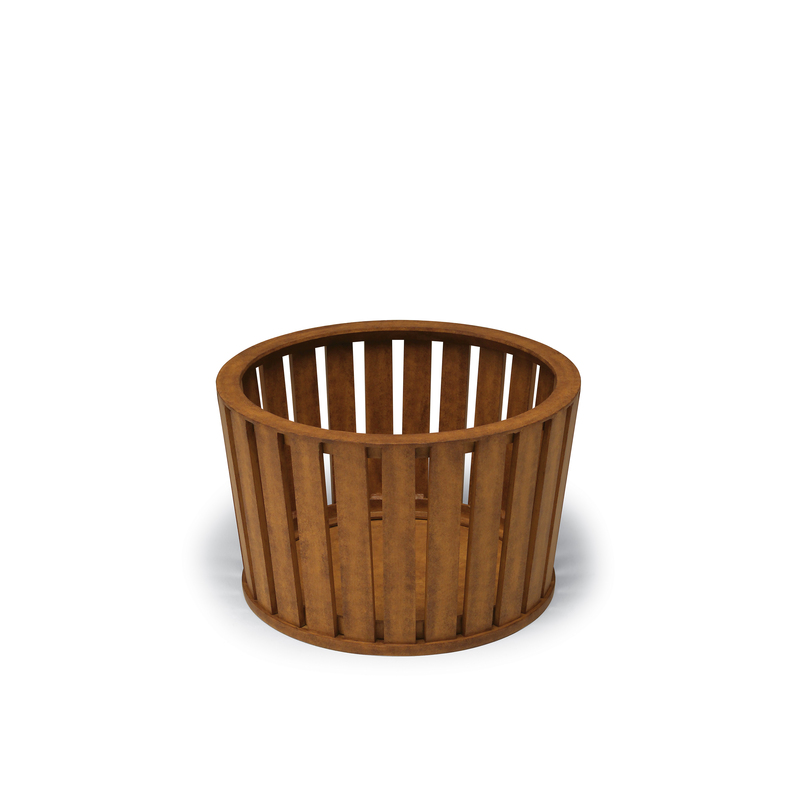 Constructed from solid 1/2" steel rods, this attractive planter can withstand outdoor elements with ease. 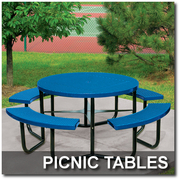 Choose from (14) distinctive powder coat finishes to compliment your outdoor surroundings. Includes inner plastic liner. 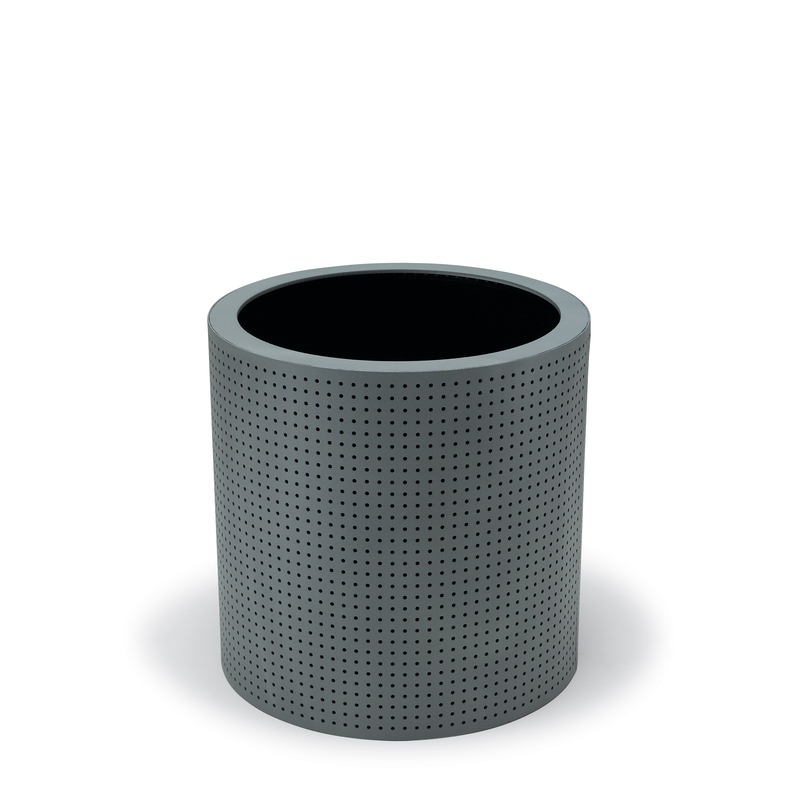 This UrbanScape Style "E" Round Perforated Steel Planter features an upscale modern appearance. 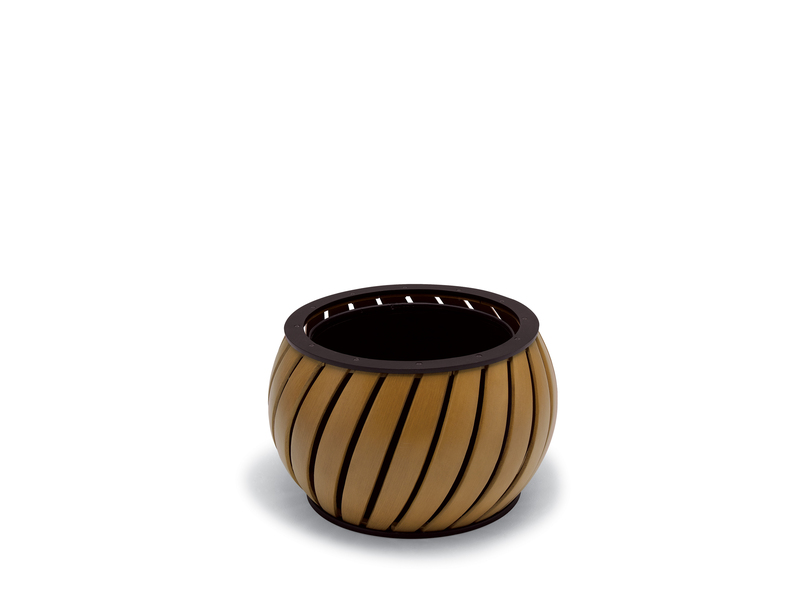 Constructed from heavy 12-gauge perforated steel, this attractive planter can withstand outdoor elements with ease. Choose from (14) distinctive powder coat finishes to compliment your outdoor surroundings. Includes inner plastic liner. This UrbanScape Collection Style "FG" Planter with Liner features a sophisticated, modern appearance that compliments today's outdoor settings. 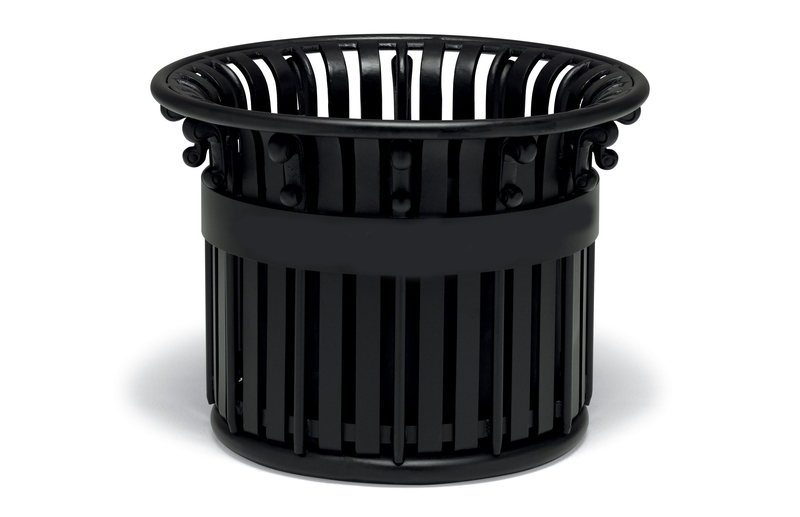 Constructed from reinforced aluminum extrusion with a cast aluminum frame, this quality planter will not rust or corrode. Choose from (14) distinctive powder coat finishes & (4) natural Faux-Wood colors to create a unique color combination. 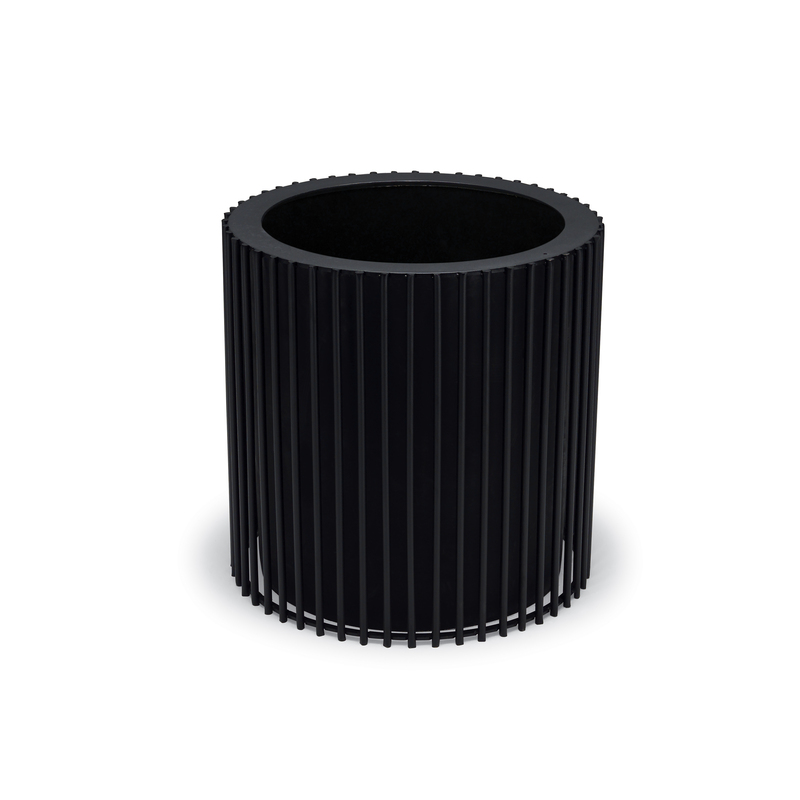 This UrbanScape Style "I" Aluminum Slat Planter with Scrolls offers an elegant, upscale appearance. Constructed from solid aluminum slats that will not rust or corrode, this decorative planter can withstand outdoor weather elements with ease. Choose from (14) distinctive powder coat finishes to coordinate with surrounding decors. Includes inner plastic liner. 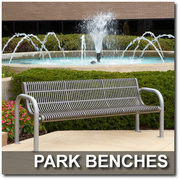 This UrbanScape Style "J" Aluminum Slat Planter offers an elegant, upscale appearance. Constructed from solid aluminum slats that will not rust or corrode, this decorative planter can withstand outdoor weather elements with ease. Choose from (14) distinctive powder coat finishes to coordinate with surrounding decors. Includes inner plastic liner. 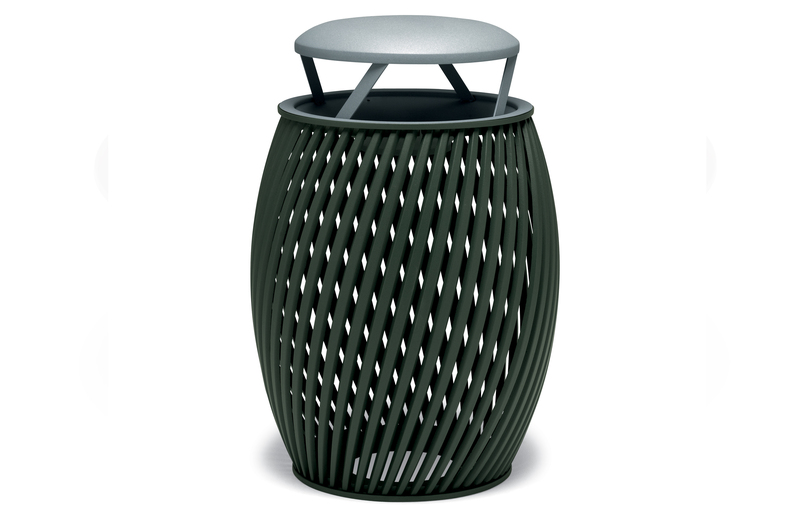 This UrbanScape Style "A" Spiral Slat Trash Receptacle with Bonnet Top features a unique twist design that creates a modern appearance. 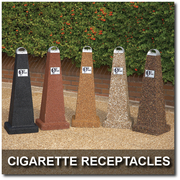 Constructed from cast aluminum, this receptacle with not rust or corrode. Choose from (14) distinctive powder coat finishes for the lid and base to create a unique color combination. Bonnet Top shields contents from the elements & prevents objects from being placed on top of the receptacle. 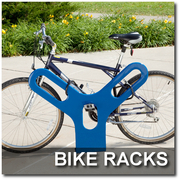 Surface mounted and inground mounting available. Includes inner plastic liner. 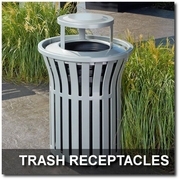 This UrbanScape Style "E" Round Perforated Steel 32 Gallon Recycling Receptacle features an upscale modern appearance. 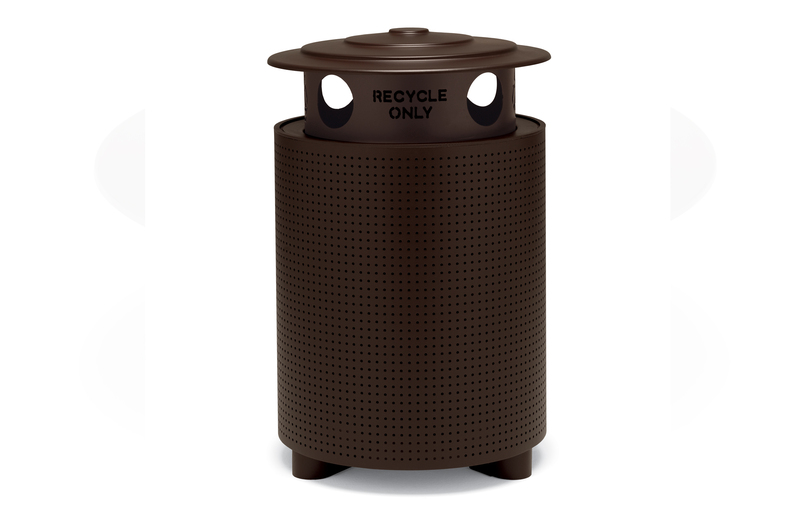 Constructed from heavy 12-gauge perforated steel, this attractive receptacle can withstand outdoor elements. Choose from (14) distinctive powder coat finishes for the lid and base to create a unique color combination. 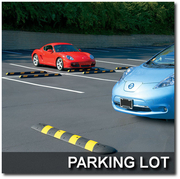 Bonnet Recycling Lid shields contents from the elements & prevents objects from being placed on top of the receptacle. Includes inner plastic liner.